Based on the knowledge on the structural and functional organization, ecological potential, and evolution of symbiotic complexes, we suggest to formulate the subject, aims, and methodology of symbiogenetics as a science studying the genetic control of interspecies interactions. 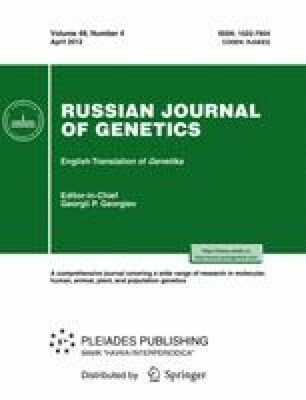 It is based on the view on the superspecies system of variation and heredity (symbiogenome) controlling the development of novel properties lacking in the unitary organisms and radically extending their adaptive potentials. Investigation of symbiogenomes represents the first step toward genetic analysis of microbiomes and metagenomes, which are superspecies hereditary systems responsible for developing the multicomponent complexes of biocenotic type, such as rumen microflora, endophytic and rhizospheric communities, soil microbial consortia. The approaches of symbiogenetics can be used for developing biotechnologies of integration of plants or animals with beneficial microbes ensuring host nutrition and development as well as resistance to biotic and abiotic stresses. Original Russian Text © I.A. Tikhonovich, N.A. Provorov, 2012, published in Genetika, 2012, Vol. 48, No. 4, pp. 437–450.